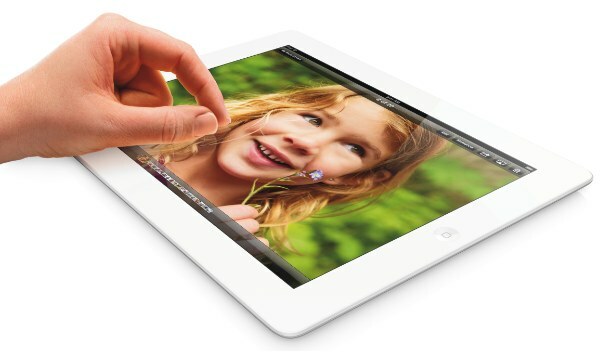 There’s no denying that the iPad Mini’s design is nothing short of spectacular – it is light, solid, and thin. It is no wonder then that the next generation iPad 5 will inherit the iPad Mini design to make it lighter and thinner. In an ever increasing battle to provide portable gadgets with thinner and lighter more portable shells, whilst retaining and increasing the same functionality and battery life, the Retina iPad is going to get redesigned. According to a new report fromDigiTimes, Apple will accomplish this by making the Retina iPad lighter and thinner by using the same touch screen design as the iPad mini. The supply chain for Apple’s next-generation 9.7-inch iPad will be similar to the iPad mini’s, with Japan-based Nitto expected to supply thin-film materials and Nissha Printing touch screen modules, noted the sources. Taiwan-based TPK will be responsible for the device’s lamination while LG Display (LGD) and Sharp will provide panels, added the sources. The unfortunate news surrounding this is the supply constraints that accompany the design Apple intend to use in the new iPad 5. Remember the severe stock shortages with the iPad Mini? With stock now only just recovering, it was rumoured to be down to the supply stock shortages, and with the iPad 5 now adopting the new design, it’ll only mean more demand is put on the screen supply if both the iPad 5 and iPad Mini 2 release date will be done simultaneously. Additionally, upstream touch screen providers are expected to be able to provide 4-5 million units a month throughout 2013 while DITO technology production yields are expected to be greatly improved, the sources revealed. Aligning the iPad 5 design with the iPad Mini will be greatly welcomed, bringing a thinner and lighter design to an already superb device.